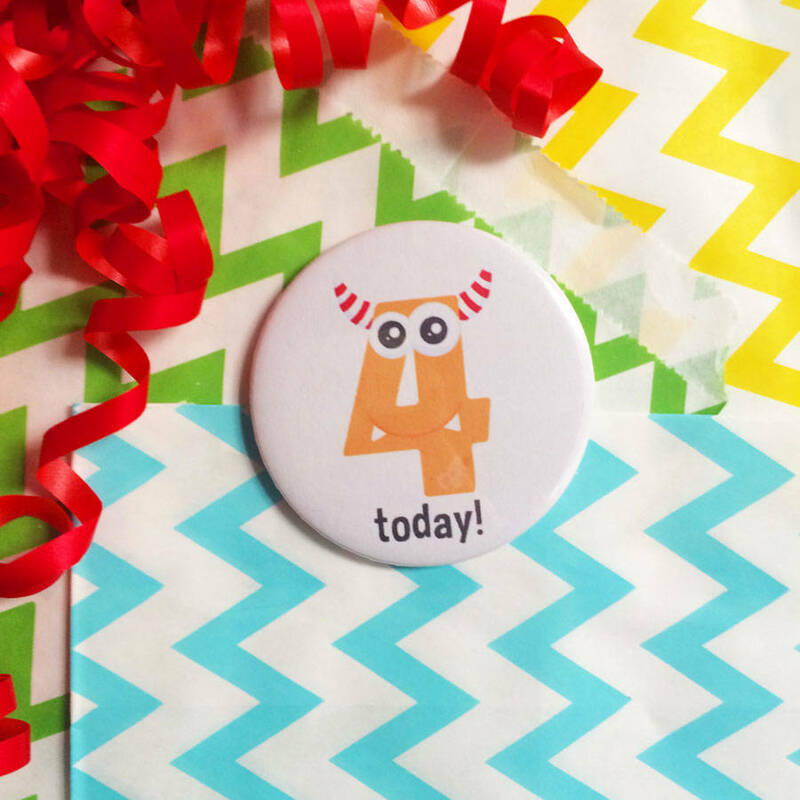 Our monster birthday badge is not only adorable its the perfect addition to any birthday party! 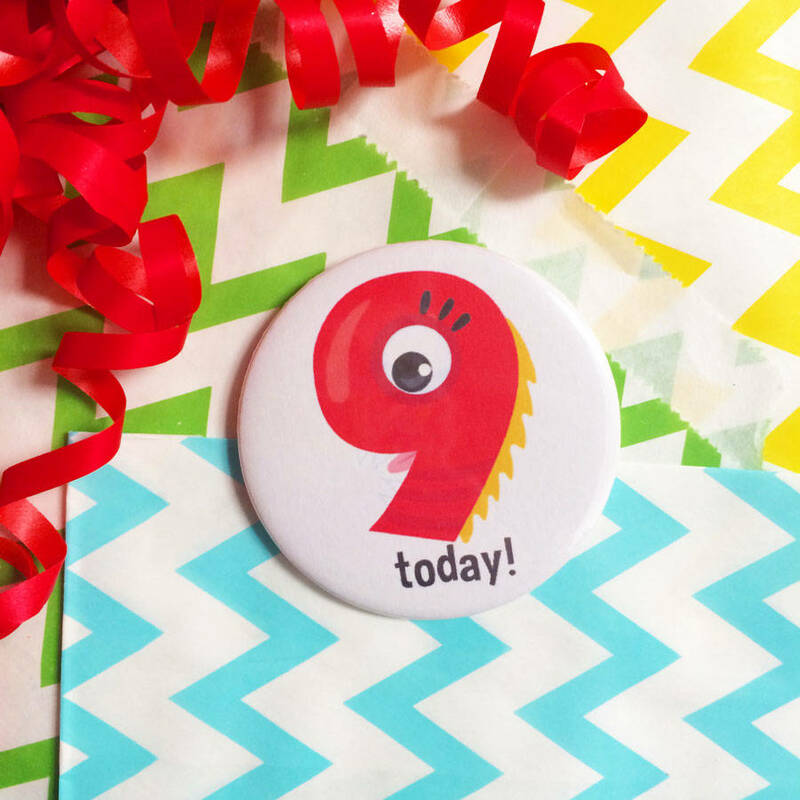 Each monster badge is 58mm (approx 2 1/4") and comes with a colourfully fun monster on the front along with "today!" underneath each number. 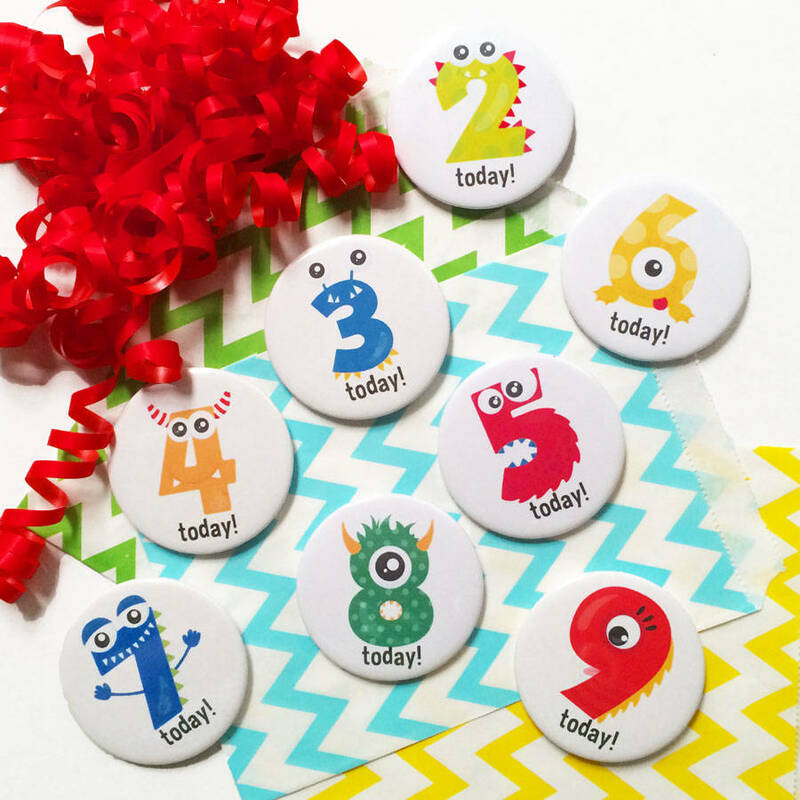 Please select the number/age badge that you require. 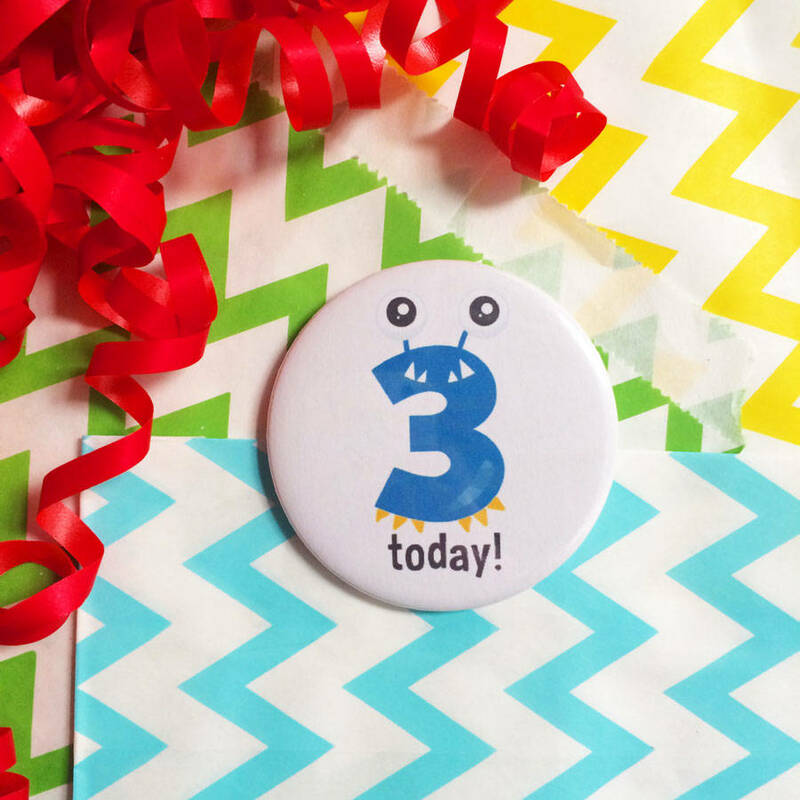 Only one colour/style is available for each number pictured.